The global mobile phone market is showing signs of slowing, despite the continuing boom in smartphone sales. 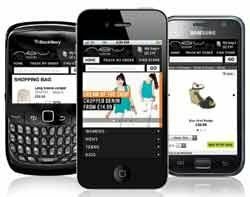 New research from IDC claimed worldwide shipments of mobiles grew by just 1.4% in 2012, which it predicts will translate to 1.7bn sales by the end of the year. The growth figure is the smallest IDC has reported in three years, even though it predicted a record quarter of smartphone sales in the lead up to Christmas. "Sluggish economic conditions worldwide have cast a pall over the mobile phone market this year," said Kevin Restivo, senior research analyst at IDC. However, Restivo said the future was “bright” with sales of high-profile handsets like the iPhone 5 and Samsung Galaxy S III sent to ignite sales figures, as well as low-end Android handsets shipping more in the emerging markets. The research said Android was the most dominant mobile operating system (OS) on the market, currently holding a 68% market share. However, IDC predicted this would fall in the next few years as other suppliers catch up with their software offerings. "Android is expected to stay in front, but we also expect it to be the biggest target for competing operating systems to grab market share,” said Ramon Llamas, research manager within IDC's mobile phone division. IDC would not make a prediction about the upcoming OS from Research in Motion (RIM) though. “What bears close observation is how BlackBerry's new platform, BlackBerry 10, and multiple versions of Linux will affect the market once the devices running these systems are available," said Ramon Llamas. Apple’s iOS software will hold strong in second place, it claimed. In 2012, IDC reported a 18.8% market share for the mobile OS and said it would stay pretty stable over the next four years, reaching 19.1% in 2016.